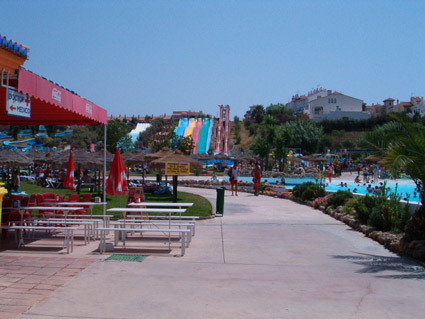 The Aqua Velis Water Park is the largest water park in the Axarquia region of the Costa del Sol and is located opposite the El Ingenio shopping mall in Torre del Mar. 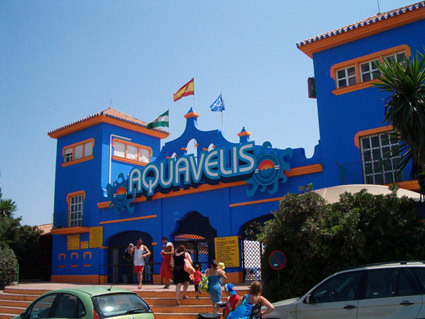 Aqua Velis has over 20 different rides including an inflatable ring ride and two super-fast slides. 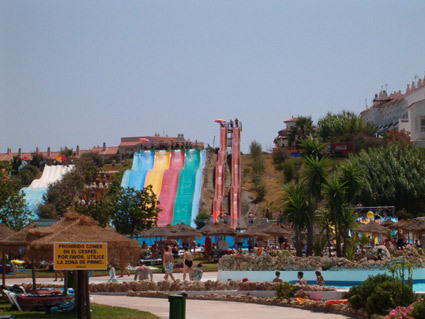 There are also rides for younger children and two large pools (one with a wave machine) and a children’s pool. Other facilities include a cafeteria with large terrace serving food and drinks and a large grass area for sunbathing. For a small additional charge sun beds can be hired for the day and there are also lockers available for keeping valuables safe, again a small charge is made for these. Aqua Velis Water Park is a great place for a family day out and even in the peak season the park never seems to be over crowded and waiting time in the queues for the rides always remains reasonable. But don't just take our word for it why not watch this short video!